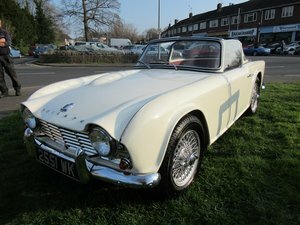 The Triumph TR4 on offer is in exceptional original condition. 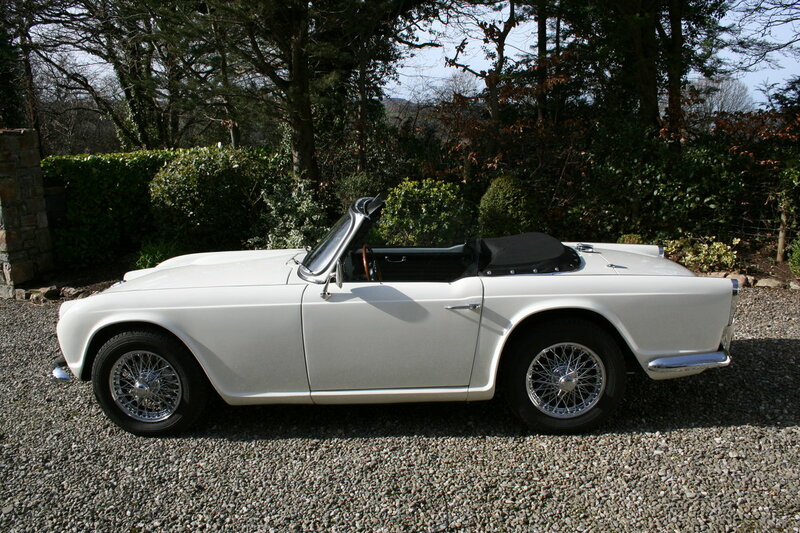 This vehicle is finished in Old English White, the original colour it left the factory when built. And is original in every detail a rare find today especially when you consider the vehicle has spent most of its life in a dry climate and is completely rot free. 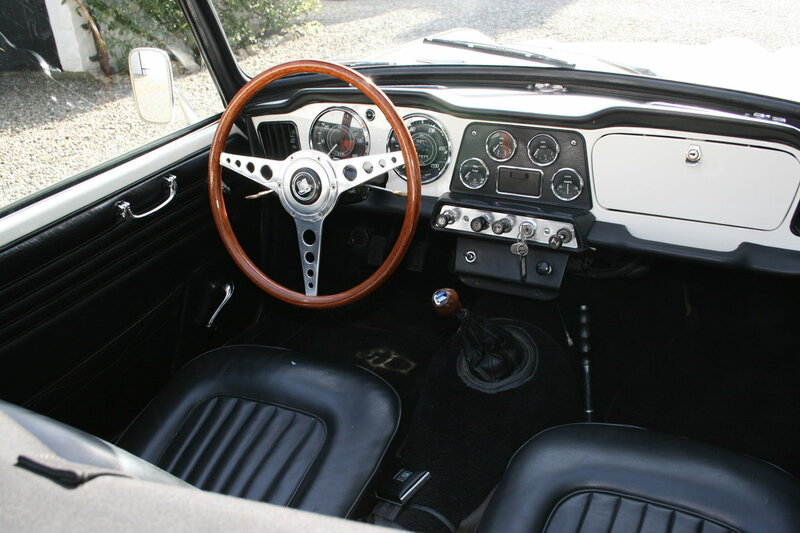 We believe the vehicle still has its original running gear, engine, gearbox with overdrive and axles. 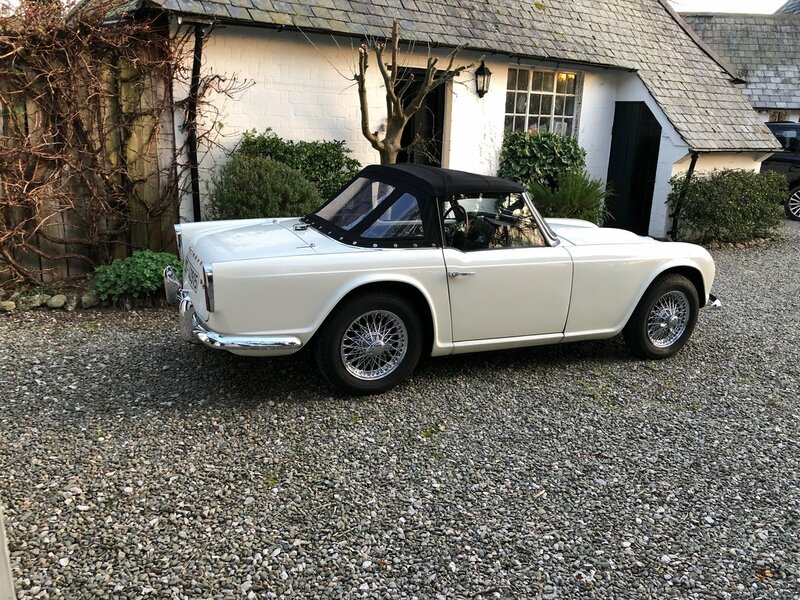 The vehicle underwent a re-spray to very high standard in the early 1990's To find an original vehicle that is 56 years old in this condition is outstanding. 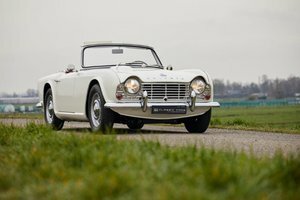 The Triumph TR4 on offer we believe was originally supplied new to the US when built in 1963. 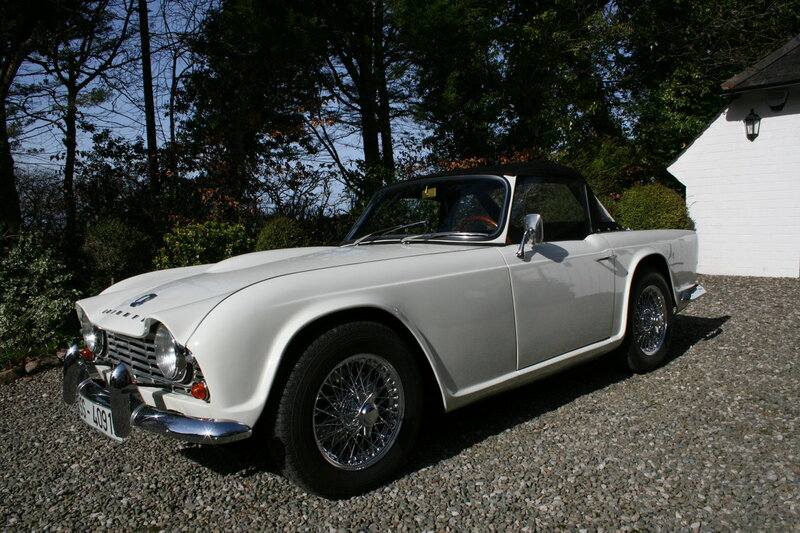 It was then purchased by a retired Sea Captain to form part of his museum collection based in Northern Spain.The entire collection was later purchased by Historic Motor Sport of Daventry in the mid 1990's and the TR4 was placed in storage until 2014 when it was purchased by Kevin Roskruge and held in his private collection since. Kevin Roskruge, himself a well known and renowned restorer of rare Vintage Bentley, Rolls Royce, Lagonda and Alfa Romeo motor cars to concours standards for the last 45 years. When Kevin took ownership of the vehicle it underwent a full and thorough re - commissioning of all the mechanical items. 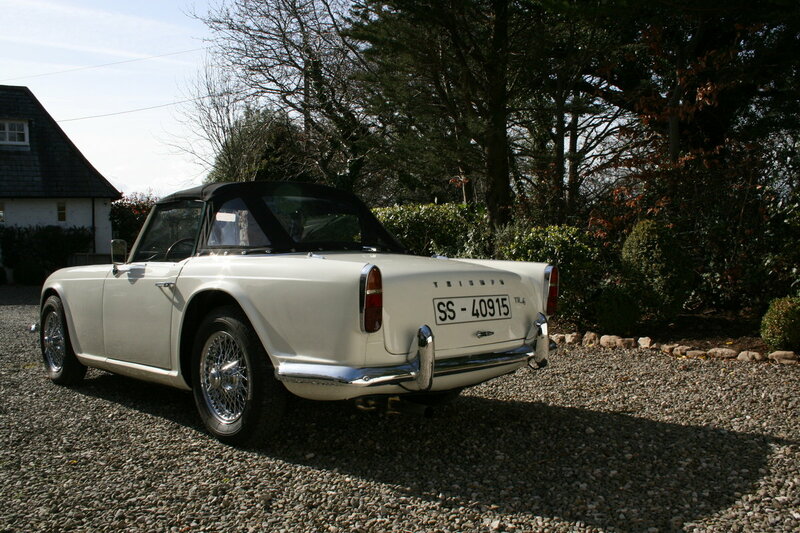 A brief summary includes, new clutch,master and slave cylinders, brakes including all hydraulics, pipes and coolant hoses, exhaust system, overhauled radiator, new chromed spooked wheels and tyres, wiring harness, battery,new black mohair hood and tonneau cover and all chrome work re-chromed. The current mileage is 7573 KM, but we cannot guarantee this to be correct. The vehicle is MOT exempt, but a previous MOT certificate will be supplied dating back to 2015. 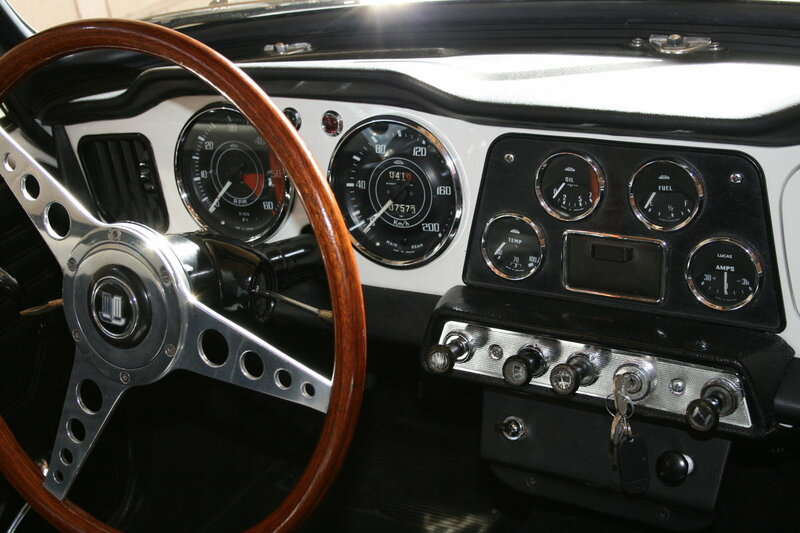 The vehicle has done very little mileage since recommissioning only road testing and starts on the button. Any inspection is invited and to our knowledge this is the best original collector quality vehicle on the market at present.